The Isle is a realistic, gritty, open-world survival horror game. There is only one goal in mind: Survival. The islands and its inhabitants will radically change, ever-evolving as players themselves learn how to survive. There are no waypoints, tutorials, or ulterior precepts in mind to alter play styles or purpose. In the end, the only person you can trust is yourself. 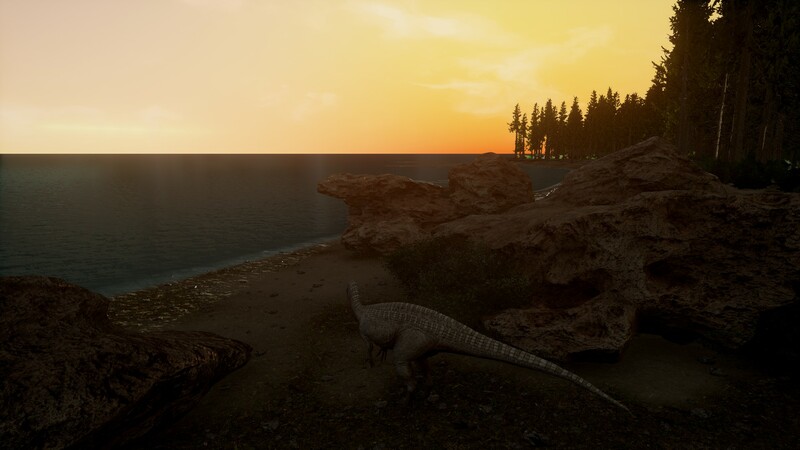 The Isle features a narrative told strictly through the environment itself, achievable only through the immense cooperation of players. Hidden locations and artifacts will be dynamically created within the levels revealing all the questions that would arise. Why are we here? Why dinosaurs? What is causing them to mutate? Why can’t we just leave? It will take weeks or even months for the global community to unravel the purpose to their being on the Isle and each discovery will directly affect the future of the game. Switch to Dev Branch to test the latest map, which will be the a cornerstone in upcoming features and updates. If you don't know how to switch to Dev Branch, that's okay - just follow this. 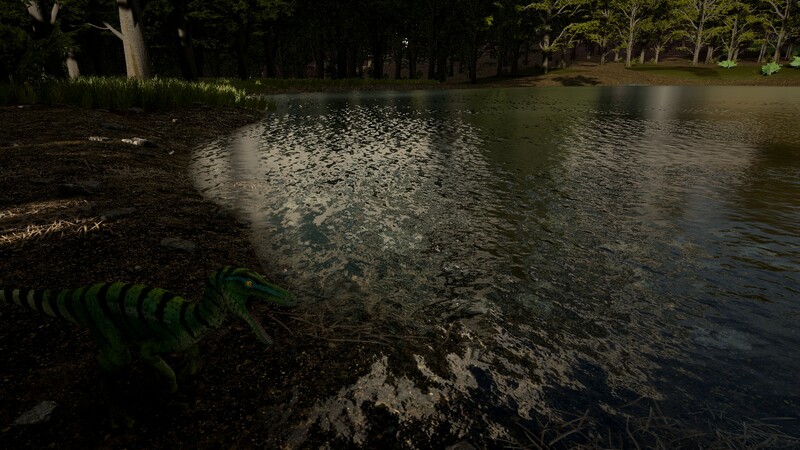 There are multiple watering holes to explore on the map; along with new assets and biomes. Find them all to give yourself a huge advantage. Take your time traversing the map and 'get a feel' for it. You don't want to feel lost when these guys are in the game. There's more to it than just learning the map (though that's just as important! ), we need people willing to test the map for bugs. It could be random floating rocks, tree collision, fps drops in certain areas, or just "Hey, this doesn't look good". Whatever the problem, be sure to drop your coordinates and post it on the #v4-discussion channel in our discord. Join our discord now by clicking the image (discord) below.